MICKEY MOUSE: Wow! This is gonna be a big trip! PLUTO: Yeah-yeah. MINNIE: Did someone say we're going on a trip? I'm all packed up and ready to go! PROFESSOR VON DRAKE: Oh look at that! 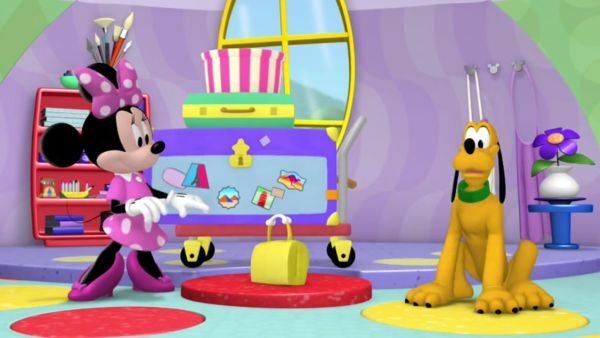 Even Pluto has packed a little doggy bag! 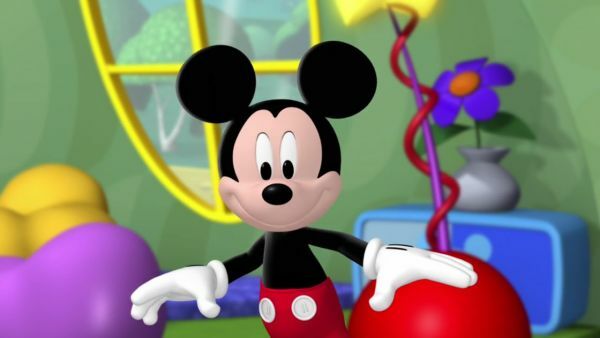 MICKEY MOUSE: Will you join us on a trip around the Clubhouse World? You will? All right! Common, let's go get our Mouseketools! MICKEY MOUSE: Mouseker-hey, mouseker-hi, mouseker-ho! Mouseker-ready, mouseker-set, here we go! You're a thinking and a solving work it through-er! Mouseker-me, mouseker-you, mousekedoer! Mouseker-me, mouseker-you, mousekedoer! Oh, toodles! It's time to get to it. Show us the Mouseketools to help us do it! Meeska, mooska, mousekedoer! Mouseketools, mouseketools, mouseketools! CHORUS: Here are your Mouseketools! 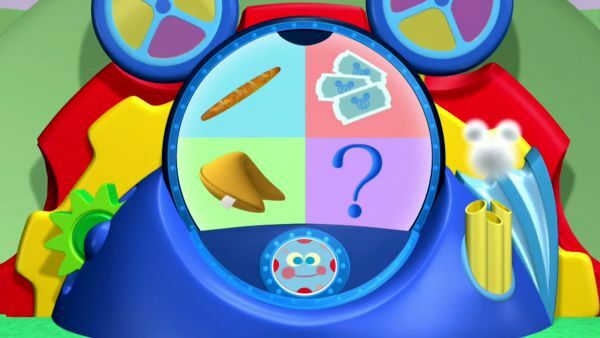 MICKEY MOUSE: Let's see... We've got a baguette. PROFESSOR VON DRAKE: That's a kind of French bread! MICKEY MOUSE: Tickets. Three of them. PROFESSOR VON DRAKE: A fortune cookie... how fortunate! MICKEY MOUSE: And the mystery Mouseketool. That's a surprise tool that can help us later. Toodles has the tools! The Mouseketools! So when we need them toodles will bring them! He's here for meedles and youdles. And all we have to say is: Oh, toodles! MICKEY MOUSE: Hot dog! We've got our Mouseketools for the trip! PROFESSOR VON DRAKE: Well, don't dilly-dally, dilly dilly! It's gonna take some time to go all the way around the Clubhouse World, so you all better get going! MINNIE: Hurry up, boys! MICKEY MOUSE: That sounds like Minnie. 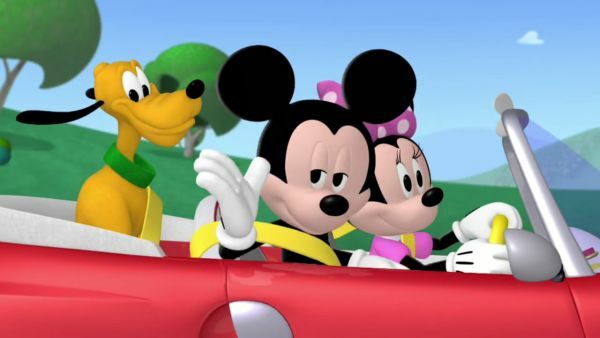 MINNIE: Hop in, fellow world travelers! 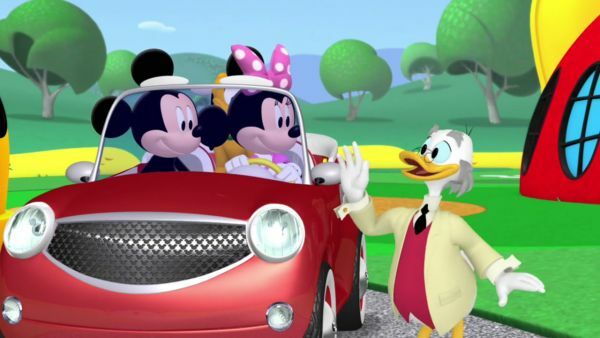 PROFESSOR VON DRAKE: Now Minnie, check out the Toon Car's control panel, would you? I have programmed this car to take you wherever you need to get to! Now then, the first stop on your voyage will gonna be... the Eiffel Tower! MINNIE: Oh! Just like the one in Paris, France! PROFESSOR VON DRAKE: Oui oui! That's yes-yes in French talk! 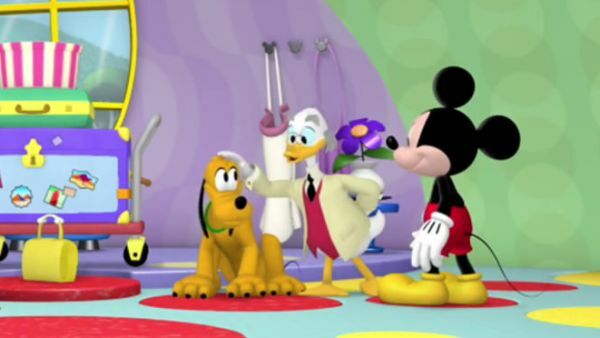 MICKEY MOUSE: Thanks, Professor! Looks like we've got everything. Now, let's go around the Clubhouse World! MINNIE: Bye-bye! PROFESSOR VON DRAKE: Have fun on your trip, all you kids! 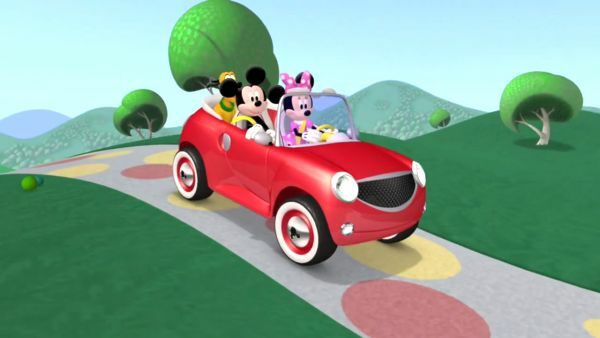 MICKEY MOUSE: We're gonna go around the Clubhouse World! Go go go! We're gonna find our way to places far away. Let's go! Just think of all the friends that we'll meet and greet. MINNIE: And all the lovely things we'll see and eat! BOTH: C'mon, let's go around the Clubhouse World! MICKEY MOUSE: Go go go! BOTH: We're gonna find our way to places far away! Go go go!